If you stop taking this medication for several days, you may need to increase your dose slowly back to your previous dosage. Talk with your doctor about how to restart the medication. Do not stop taking this medication without your doctor's approval. Although very unlikely, if you suddenly stop taking this drug, withdrawal reactions may occur. Such reactions can include fever, muscle stiffness, and confusion. Report any such reactions to your doctor right away. If you have Parkinson's disease and are stopping regular treatment with this drug, gradually reducing the dosage as directed will help prevent withdrawal reactions. Consult your doctor or pharmacist for more details. What conditions does Mirapex treat? Tell your doctor right away if you have any serious side effects, including: fainting, mental/mood changes (e.g., confusion, depression, hallucinations, memory problems), unusual strong urges (such as increased gambling, increased sexual urges), increased difficulty moving/walking, muscle cramps/spasm, restlessness, decreased sexual ability, increased shakiness (tremor)/stiffness, swelling of the ankles/feet. Get medical help right away if you have any very serious side effects, including: chest pain, fever, unusually fast/slow/irregular heartbeat, muscle pain/weakness, unusual tiredness, signs of kidney problems (such as change in the amount of urine), vision changes. List Mirapex side effects by likelihood and severity. This drug may make you dizzy or drowsy. Do not drive, use machinery, or do any activity that requires alertness until you are sure you can perform such activities safely. Avoid alcoholic beverages. See also Side Effects section. What should I know regarding pregnancy, nursing and administering Mirapex to children or the elderly? Some products that may interact with this drug include: antipsychotics (such as chlorpromazine, haloperidol, thiothixene), cimetidine, metoclopramide. Does Mirapex interact with other medications? 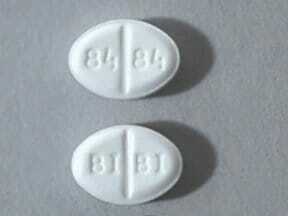 This medicine is a white, oval, scored, tablet imprinted with "BI BI" and "84 84". 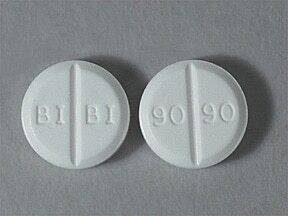 This medicine is a white, round, scored, tablet imprinted with "BI BI" and "90 90". 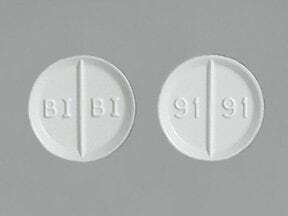 This medicine is a white, round, scored, tablet imprinted with "BI BI" and "91 91". 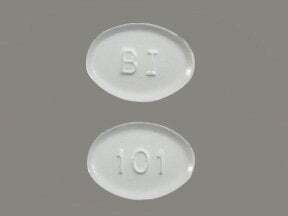 This medicine is a white, oval, tablet imprinted with "BI" and "101". 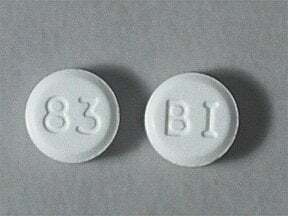 This medicine is a white, round, tablet imprinted with "BI" and "83". 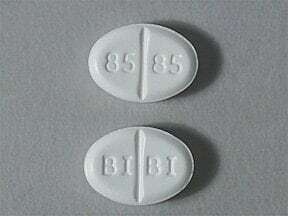 This medicine is a white, oval, scored, tablet imprinted with "BI BI" and "85 85". 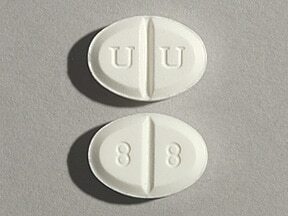 This medicine is a white, oval, scored, tablet imprinted with "U U" and "8 8". Are you considering switching to Mirapex? How long have you been taking Mirapex?